Lock in a great price for The One Apartment - rated 9 by recent guests. Great owner. Gave us helpful tipps and told us something about the history. We had the possibility to let the luggage in the privat rooms after check out and could use the bathroom after sightseeing. Bonus. He shared some new years sweets with us additionally to the nice breakfast with homemade breakfast. We were only in Galle for one night but we are so glad we stayed here. 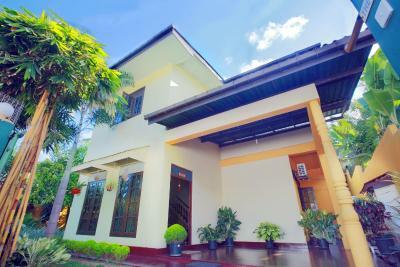 The owner was extremely hospitable and gave us a lot of tips for touring Galle and Sri Lanka. 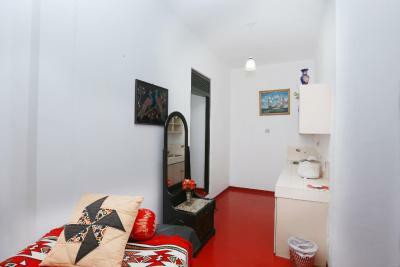 The apartment was very clean, secure and spacious. We also had a fantastic home cooked dinner! The owner was also kind enough to call us a tuk tuk for a fair price at check out which was very appreciated! 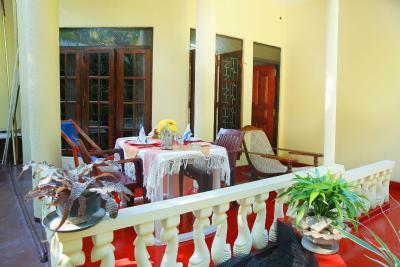 If we come back to Galle we will definitely stay here again! 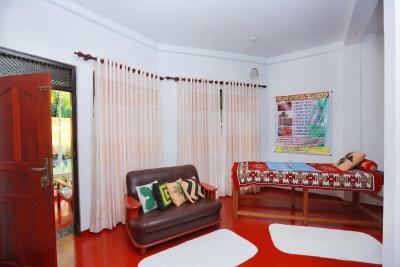 Lovely Apartment In Galle Very Helpful and friendly owner willing to give details in Sri Lanka.The Apartment was spacious and clean.Lovely terrace ,Clean Bathroom. WIFI works well. Breakfast is good.we were pleased staying here. 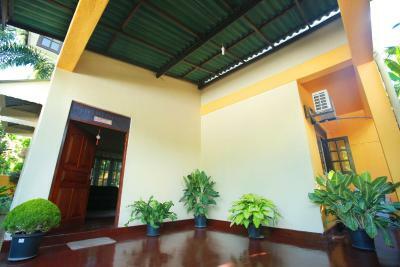 Galle was not our favorite city but fortunately we could stay at The One Apartment! We enjoyed the time at Don's place - especially in his garden. He and his wife are lovely and very welcoming and we had some very nice chats. Our apartment was very big, clean and the perfect spot to relax. The dinner and breakfast were very sumptuous and delicious. 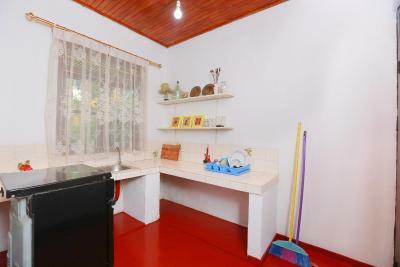 So at Don's place you will find everything you need for a good time! 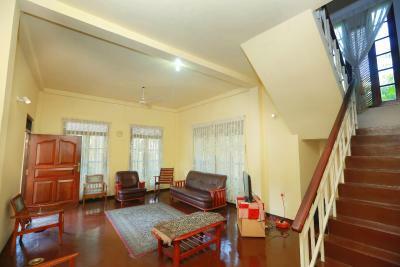 Very nice and spacious apartment with all you need + something extra. Helpful owner (we needed to check out at afternoon but we could left our luggage in apartment with no problem). 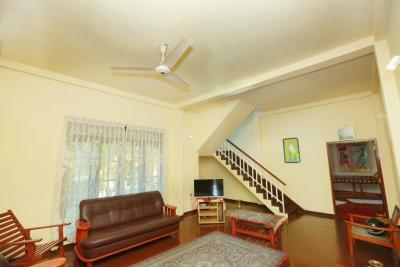 Not far from Galle center (walk distance). 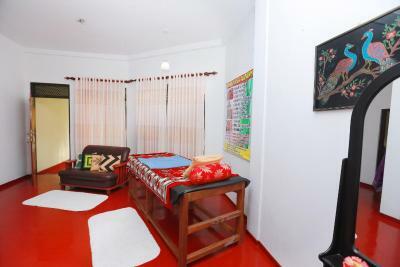 The host has a wealth of knowledge about the area, very friendly & helpful. The space is private, clean, spacious, and the a/c bedroom was a very nice addition. The breakfasts were a simple western breakfast (toast, omelet) with a very nice wood apple jam made by his wife and fresh fruit from their garden! We didn’t order other meals there, but you can do so for a fee, which is helpful if you don’t want to find a restaurant or pay higher tourist prices in the fort. Note that it is a little outside the fort (10-15min tuk-tuk ride to the main train & bus station), and we recommend using the Pick Me app to get a fair price on a tuk-tuk in the area! Nice neighborhood to walk around, and quieter than the Galle Fort area. We recommend this spot! Location was great for us, twenty minute walk to the fort /bus station or a very short tuktuk ride. Don was the perfect host, friendly and helpful without being over bearing. Don is a really nice guy. He is extremely helpful and was giving us tips what to do every day for Galle and for whole Sri Lanka. The apartment / room was very clean and spacious. We really loved the food! Don served traditional food and always kindly explained everything. One of our bestsellers in Galle! 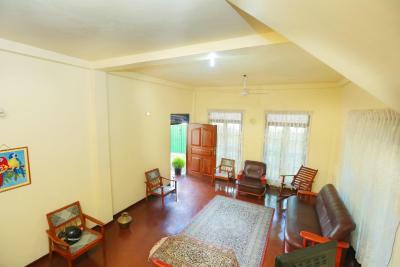 Located in Galle, The One Apartment features accommodation within 1.1 miles of Galle International Cricket Stadium. Complimentary WiFi is featured. 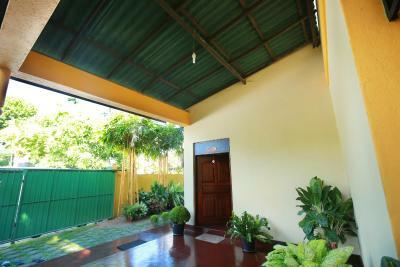 Both a bicycle rental service and a car rental service are available at the bed and breakfast. Galle Fort is 1.4 miles from The One Apartment, while Dutch Church Galle is 1.4 miles away. The One Apartment has been welcoming Booking.com guests since 12 Apr 2017. When would you like to stay at The One Apartment? 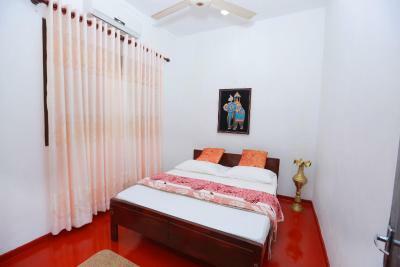 This double room has a seating area, air conditioning and patio. House rules The One Apartment takes special requests - add in the next step! The host is great. Nice to stay at this private apartment. Perfect location, peaceful and calm. 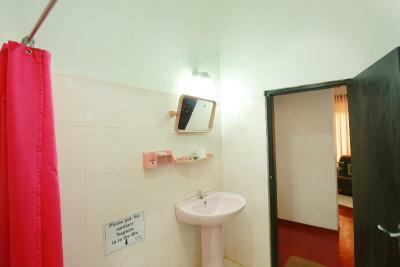 Rooms are clean and most importantly, washroom was very clean. Free Wifi was available and it was very fast. The dinner and breakfast were very sumptuous and delicious. Not far from Galle city. 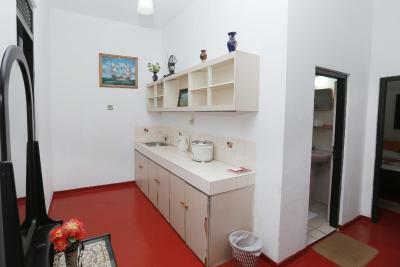 Self cooking kitchen, car parking, garden available. Host was very friendly and we had chats about old sri lankan stories. We loved our stay at THE ONE APARTMENT. We highly recommended this to anyone who comes this way to Galle. Owner was incredibly welcoming and kind. He made a delicious breakfast for us with mixed juice, toasts, 2 fried eggs, butter, jam, coffee and home made yogourt. It was amazing. The apartment was very clean and comfortable. 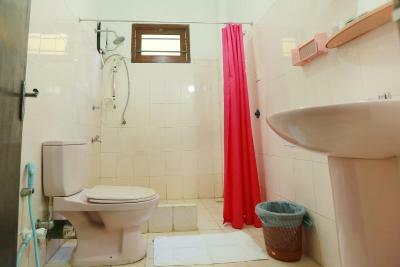 Bathroom was also very clean. Free Wifi was very fast and A La Cart menu was available with Sea food, beef, fish tuna, kottu roti, rice and curry or if you need self cooking, kitchen equipment are also available. Good working A/C was available for 24 hours and hot water too. 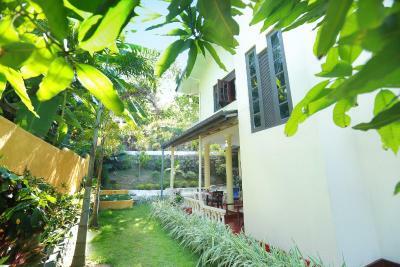 Apartment is located very closed to city centres so you can walk to galle fort. Even you can reach to Unawatuna by bus within 10-15 minutes. 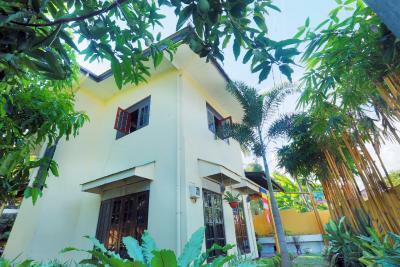 Apartment has a beautiful garden and car parking also available if you are travelling by your own vehicle. 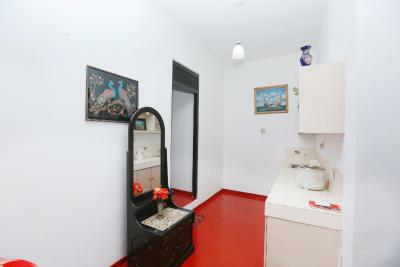 You can share refrigerator and TV with owner who is living next door at a reasonable price. This is our best stay in Sri Lanka so far. All was to our liking! The air conditioner remote should be kept in the room. The seemed to be an issue with the WiFi which the host sorted out and he said he would come and give it to us and he never did so eventually we had to find him. A small fridge to keep water cool would have been amazing, also a fan in the living room area would be nice. 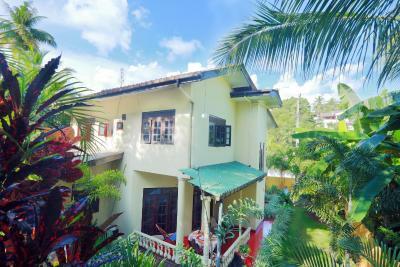 This apartment is perfect for a stay in Galle. What we loved most about it was the food, we ate here every night and every time we had wonderful flavorful and fresh food. The host has been a chef and you can tell. It's very private, there's only one apartment and you have your own small little garden. It's nice to relax here when you get home from visiting the kind of hectic fort. It's a 20min walk to the fort, but you can also take a tuk tuk. The host recommend us so many great places, even planned our itinerary for the rest of our Sri Lanka trip, he was so friendly and had interesting stories to share.